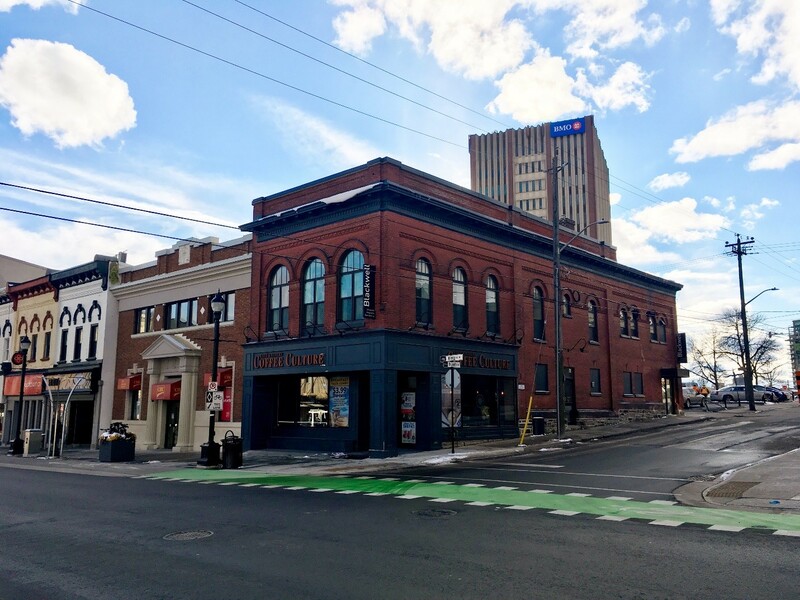 Ryan Kaitting and Fraser Vrenjak of Cushman & Wakefield Waterloo Region are marketing for lease a street front corner unit at King and Dupont streets in Uptown Waterloo. The 31-32 King St North location offers 1,923 square feet of ground floor retail. The classic brick building offers strong exposure onto King St and its high pedestrian and vehicle traffic counts of about 20,000 vehicles daily. Current layout presents a turnkey opportunity for a café concept with patio, but the space can be converted to accommodate several uses including retail, services, and office. Well maintained building that is professional managed with easy access to public parking and transportation. Over 63,300 people are living within a three kilometre radius and the daytime population is more than 78,700 people. The average household income within one kilometre is over $84,000 per year. Possession is mid-May 2019.